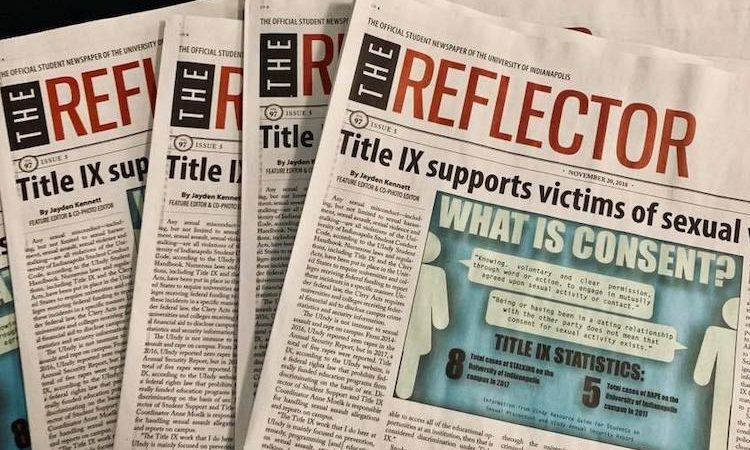 Each year, The Reflector submits issues of the newspaper from the entire previous year to be assessed at the national level through the Associated Collegiate Press. For the second year in a row, the student-run newspaper earned higher than a first-class rating. The paper earned an All-American Honor Rating with four marks of distinction for coverage & content; writing & editing; photos, art & graphics; and layout & design. The All-American rating requires the highest range of points plus at least four out of five possible marks of distinction. ACP has developed a set of national standards for college student media, and its judges are media professionals from around the country. “These results once again highlight the students’ talent, dedication, and hard work and the university community’s support, which is vital because training a journalist truly does take a village,” said Jeanne Criswell, director of the journalism program and faculty adviser to The Reflector.